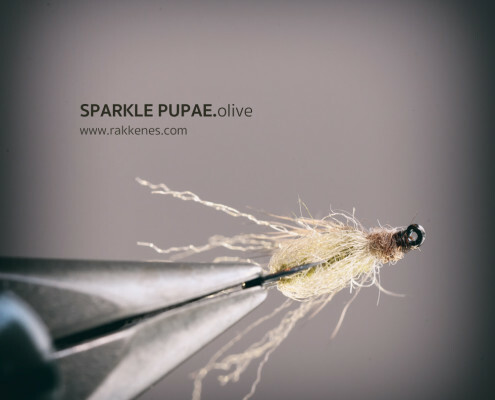 La Fontaine has made a fabulous concept with his sparkle pupas. No doubt. 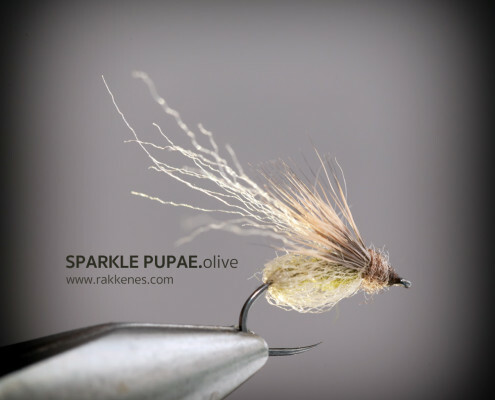 I have caught numerous trout on them, and most fly fishers have them in their boxes for the early phases of a caddis hatch. The fly has a problem, however. It’s not that it is not working as it should, but the theory on which it is built, doesn’t hold water. The idea behind the imitation is that the pupa expands its outer cuticle with gas just before it ascends to the surface. According to La Fontaine, the gas is produced internally and it helps the pupae both with the ascension and getting rid of the cuticle. 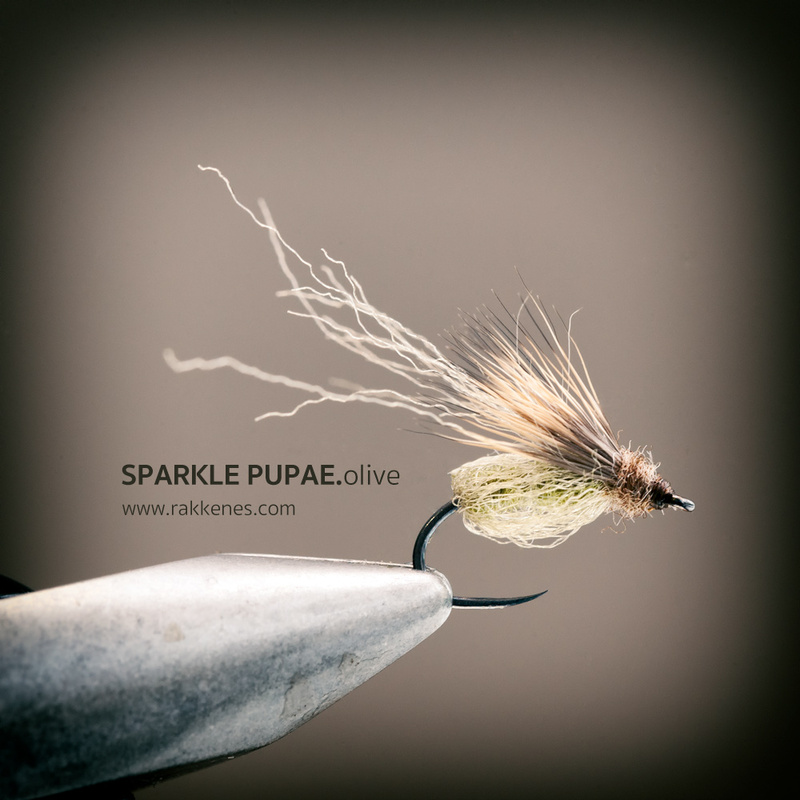 La Fontaine held that the sun sparkles in the gas, and works as a primary trigger for hungry fish. According to Bob Wyatt (What Trout Want, pp 125-127) there are no scientific evidence that pupas produce gas in this way. In fact, a paper written by two Norwegian biologists firmly rejects La Fontaine’s hypothesis. But why care? 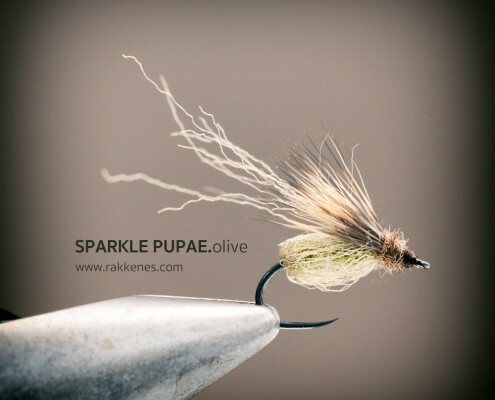 This fly is fantastic in its own right, although it is probably not an imitation but a good attractor pattern to use when the caddis hatch is on. I have made a couple of small changes to the original pattern. 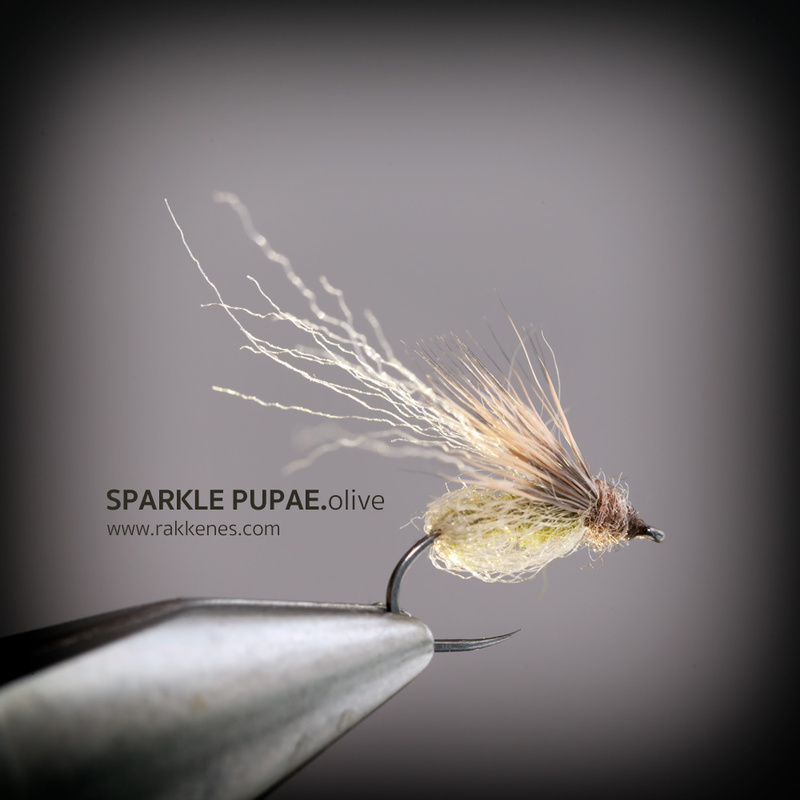 I often tie it on a curved hook (Hends BL 554 here) and I create an Anton shuck under the deer hair wing. Not a big deal, but it seems to work well as an additional trigger. Materials are listed in order of tying. Pick out the Antron to create a bubble around the body. Use fingers and dubbing needle. When bubble is done, take a few strands of Anton to and tie back to form the shuck. Can be fished deep in the film, dead drift. 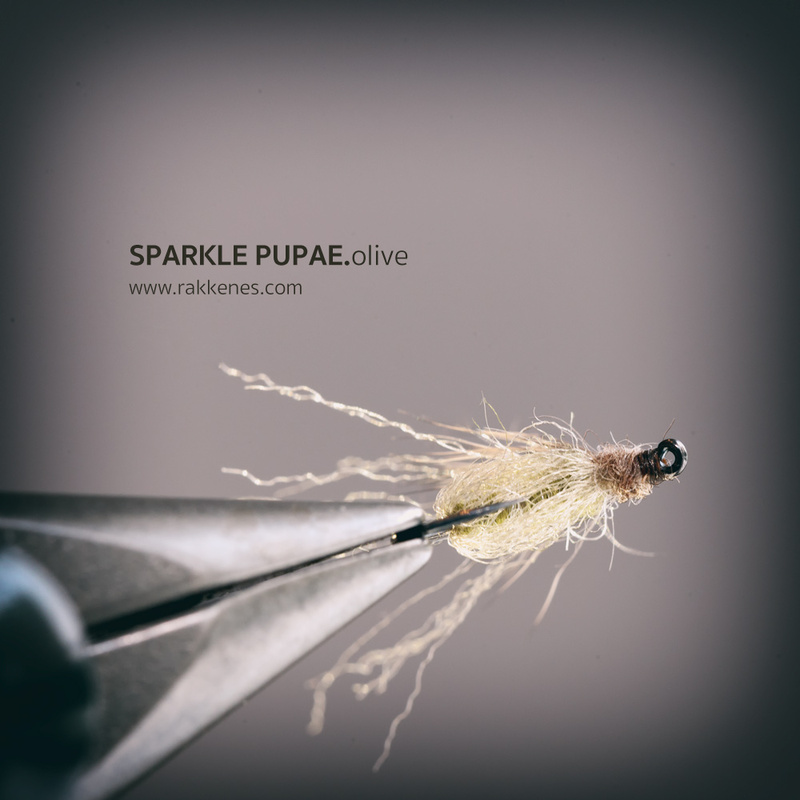 Works well behind a dropper, and as a wet fly. Deadly in the swing!